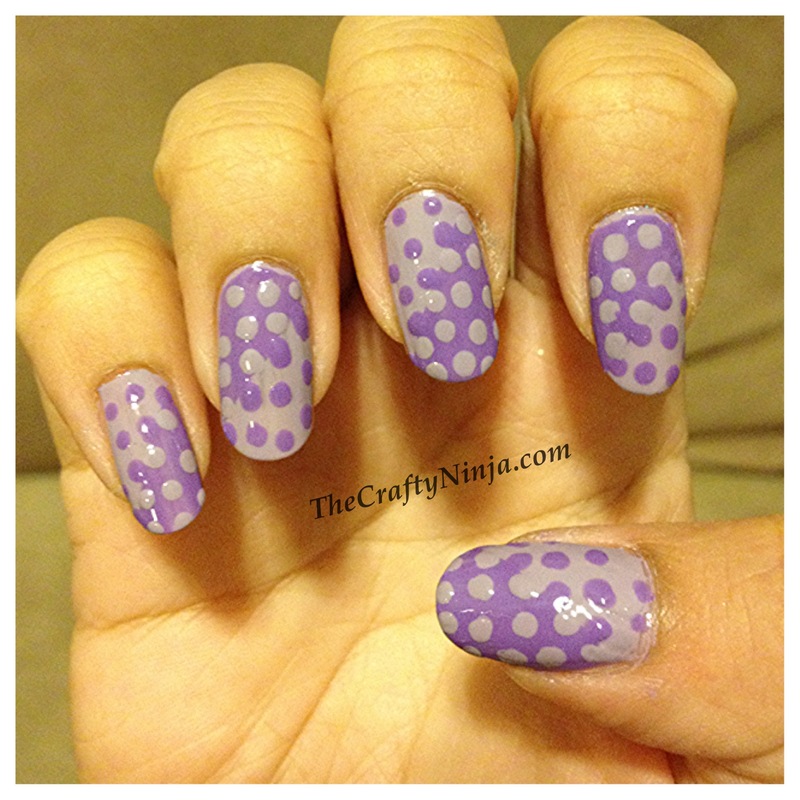 Today’s nail art tutorial is called interlocking dots, which creates an optical illusion design. Sorry about my dried cuticles, too much acetone before applying my cuticle oil. Check out my picture tutorial below to create this interesting design and I also have a YouTube tutorial here! I was inspired by slacquer.com to recreate her pictorial. 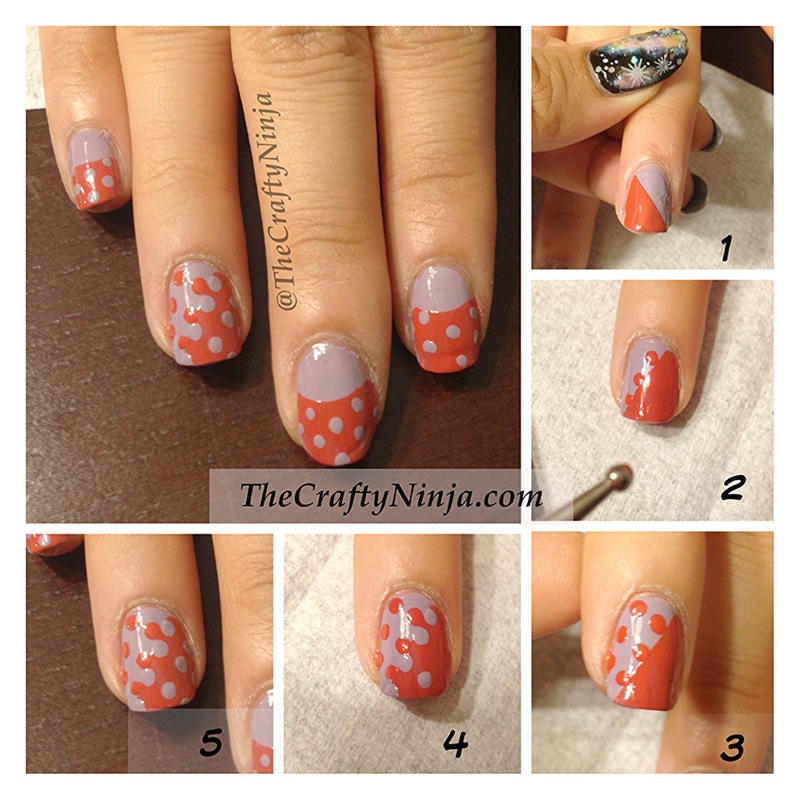 Here is the tutorial to create interlocking dot nails: 1. Paint with a clear top coat then a base color, I used Essie Bangle Jangle. 2. Once the nails are completely dry apply a piece of scotch tape diagonally on the finger and paint with the second nail polish color, I used a darker purple with no brand. 3. Peel off the tape and again let the nails dry. 4. 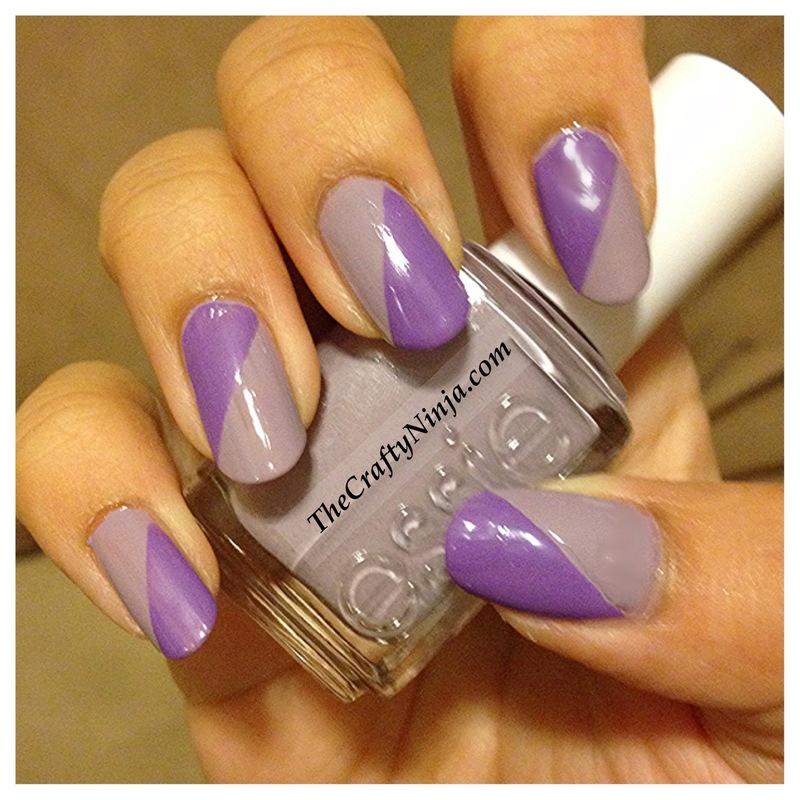 Using a nail dotting tool apply four dots on the diagonal line on the opposite side. 5. For the second row, apply the next dot in between the center dots. 6. Keep applying the second row dots in between the first row of dots. 7. With the third row, again place the dots in between the second row. 8. Repeat step 4 with the opposite nail polish color. 8. Repeat steps 5 through 8. You’re dots will get better with more practice. 9. Apply Top Coat. I also like the nails with just the monochromatic purple. I’m so loving the color purple right now! After doing this tutorial, there’s also another way to create the optical illusion. Here I have demonstrated on my friend’s hand. The difference than the above tutorial is that in step 3 you put the dots behind the first row of dots and repeat with the opposite color. I also did a half moon manicure, tutorial here, with the other nails and used my nail dotting tool to create the polka dots.